After all, the ornate castellated Gothic Revival structure was really only built to hide a simple standpipe. Even so, its intricate design serves as a perfect illustration of the value and importance the city put on infrastructure and water supply during the late 19th century. Today it’s seen as an investment made to solve crucial water supply issues brought about by the city’s rapid growth. 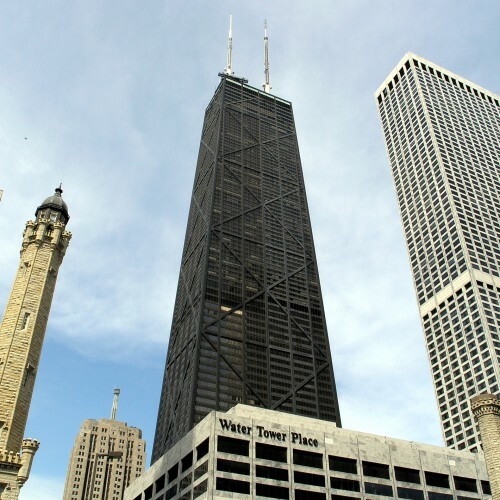 In 2014, the small park surrounding the tower was named for former Chicago mayor, Jane Byrne. 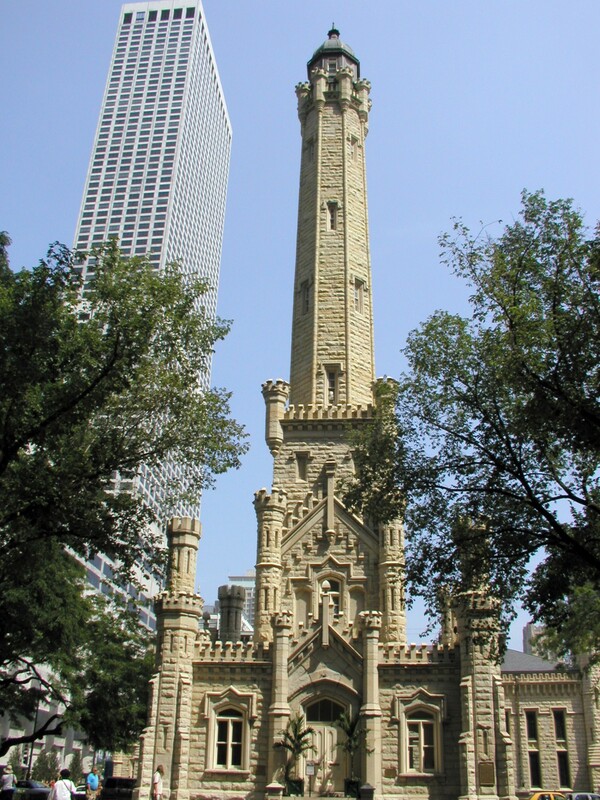 Though the Great Fire of 1871 wrapped around the Chicago Water Tower and the nearby pumping station, neither were damaged significantly because they were built with little or no wood. 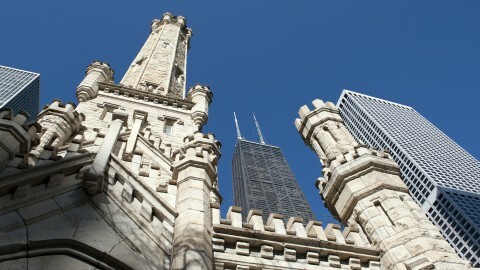 Today the Water Tower is home to the Chicago Office of Tourism’s art gallery. William Boyington was one of the most prolific Chicago architects of the 19th century, though few of his buildings survive. He used the same castellated Gothic style and Joliet limestone for his gates at Rosehill Cemetery (1864) and for Joliet Prison (1858), both still standing. William Boyington designed both the pumping works building on the opposite side of Michigan Avenue (then Pine Street) and the Water Tower that houses the standpipe. Both buildings were built with distinctive yellow Joliet limestone, a very popular building material in the city at the time. Built in Boyington's signature castellated Gothic Revival style, the buildings look like something out of a fairy tale. 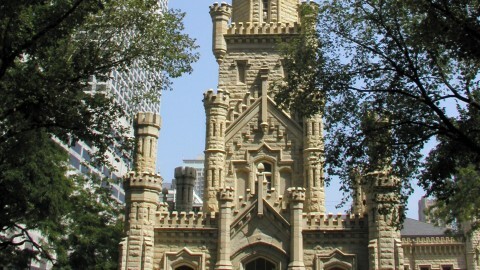 We know that the Water Tower and Pumping Station survived the Chicago Fire of 1871. 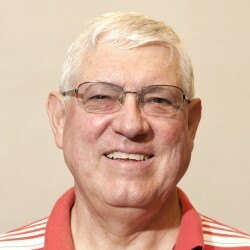 But most do not know that they survived because of a German immigrant fireman, Frank Trautman. He covered the buildings with woolen blankets and discarded canvas sails and kept the covers soaked in lake water. 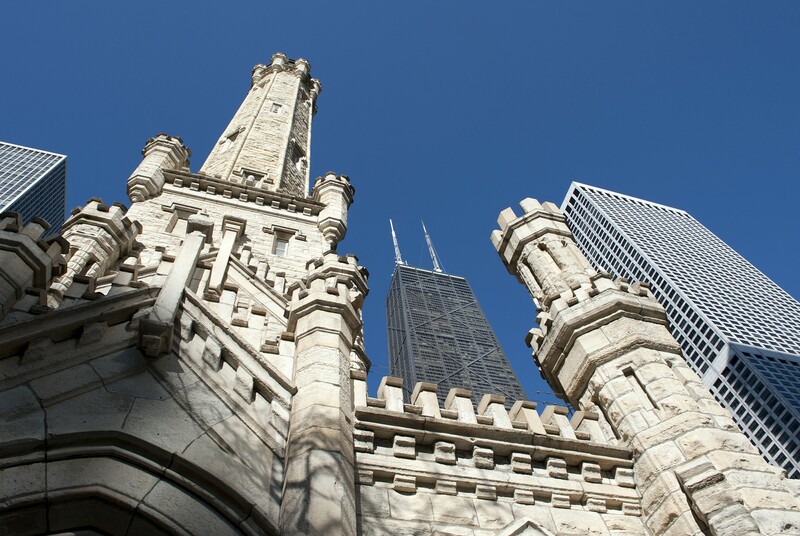 It’s a common myth that the Chicago Water Tower was the only building that remained standing after the Great Fire of 1871. In truth, it only became the most iconic structure left standing. 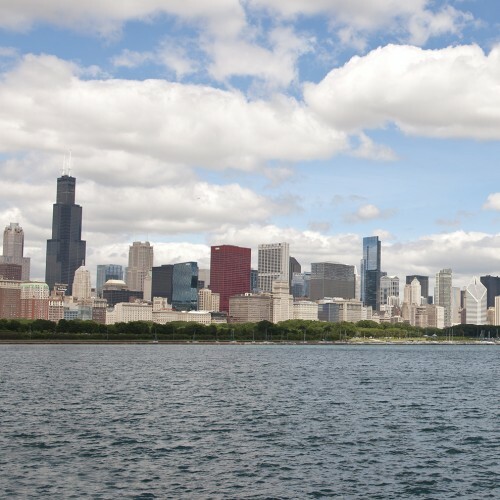 Though large sections of the south and west sides of the city were never touched by the Fire, the Water Tower became a rallying point for the city. It stood as a symbol for a city determined to rise from its own ashes.